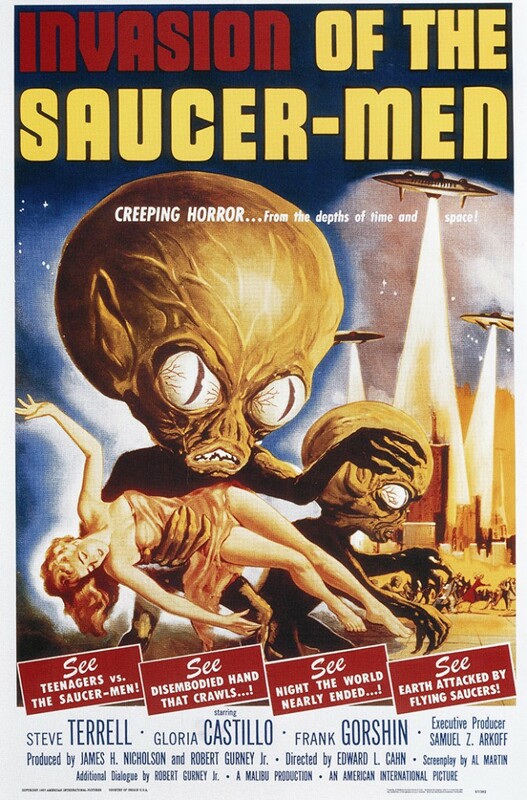 Invasion Of The Saucer Men (1957) | B-Movie BFFs! Tonight we are about to be invaded by Saucer Men! 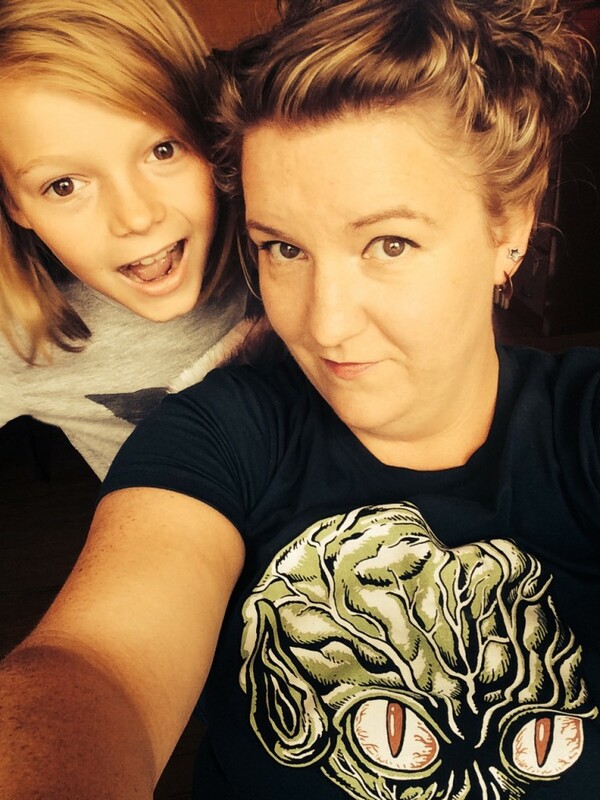 & I’ve got the t-shirt, and the photobomb to prove it! That’s right people! It’s time to get weird! P.S. warning for unnecessary violence to cows. “All this makes it seem natural for a beer-drinking bull to appoint himself a chaperone of ‘Lovers’ Lane’!” Yes. This is an actual line from the trailer. I see the “teens-in-peril/teens-as-heroes” films of the mid-fifties through mid-sixties as a bit of backlash against the anti-teen sentiment which has been a part of our culture ab initio. In this story the kids see aliens landing on Earth and doing stupid stuff – and some freaky stuff – but no one believes them! 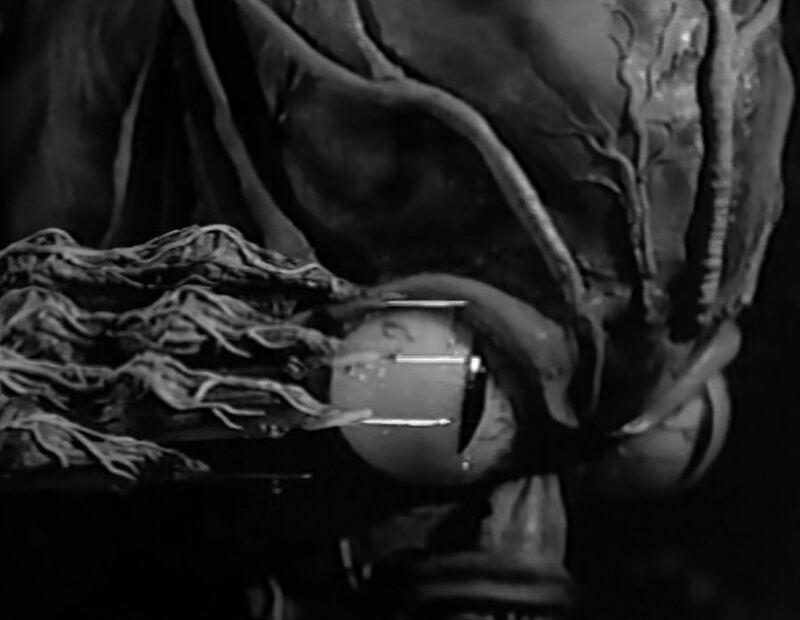 If anyone reading here finds the plot of Invasion Of The Saucer Men a tad familiar, they likely saw the “Mystery Science Theater 3000” send-up of the 1965 remake. A remake even worse a film than the original. Watch the ’57 Saucer Men with us and ponder that! Join us tonight for Invasion Of The Saucermen at 7 PM PST! 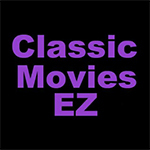 The film is available to watch online via Classic Movies EZ (as linked below). If you’d like to watch with us, here’s how. Queue up the movie as follows: sometime before 7 PM PST Tuesday the 5th play the first few moments of the film. You will see a goofy-looking scrapbook that reads, “a true story of a flying saucer”. The moment a hand touches the book to open it, pause the movie. At 7 PM PST exactly, resume the film. Then follow on Twitter at @BmovieBFFs or post to/enable Notifications on the Facebook thread as we watch this B-movie classic!